Unity is more than a good idea. A human being is a part of a whole called by us "the universe,"
There has been a lot of talk about unity recently - or the lack of. Rhetoric such as "A country divided needs to be united" seems like an obvious and noble goal that we can all get behind. But bridging the apparent differences between people in various camps as each one adheres strongly to their identities, feels like a monumental if not impossible task. Must we relinquish our identity in order to realize unity? On the one hand, we value diversity (if nowhere else than at the supermarket), while on the other hand we want to set the parameters of what is included and what is out of bounds based on our own personal preferences. We may consider ourselves tolerant until it comes to welcoming those who don't share our view of tolerance. Can we discern when attitudes and behaviors are harmful while avoiding falling into the same patterns ourselves? There is a possibility that avoids both narcissism (my way is the best) and nihilism (no way is better than any other). This is the approach that Ken Wilbur calls "transcend and include". This integral path refuses to devalue the "other" as it moves toward an evolution of consciousness which benefits the whole. If this is hard to envision, perhaps it is because we have yet to move beyond our attachment to ego, be it gross or politically correct. As Einstein says, the perception of separation is actually a distortion of reality "restricting us to our personal desires and affection for a few persons nearest to us." This approach once played an important role in our evolution as a species. Studies have shown that ancient humans were hard-wired to notice differences in order to pick out the one that didn't belong to their group and thereby preserve their own characteristics. Survival of the group is equally important in this day and age. Only now we need to expand our perception of the group to include all beings (not just the ones we agree with) if we are to survive. We know that on a biological level, losing hundreds of species every day results in the loss of irreplaceable information and healing potential which affects us all. Is there anything that is not an intrinsic part of the whole and if so, is it not all part of our collective healing? Why do most of us feel more comfortable in a room filled with people who are similar to ourselves as oppose to being in a room where we are the minority? Is it because the experience of affirmation, comfort and, at times, self-righteousness, reinforces our sense of safety from those we perceive as the oppressors? Do we dare to question whether our thoughts and perceptions are accurate or absolute? Can we see how they might be operating as a self-fulfilling fiction that keeps us in the prison of our minds? Or do we prefer our stories that solidify the sense of "us" and "them"? If unity is the essential nature of reality, why is it that so few of us live in this reality? According to the Buddha, it is fear that distorts our vision and creates the fiction from which we operate. This includes the fear of being alienated and disregarded. While history has proven that real threats have led to real suffering, and while the uncertainty of outcomes stares us in the face, let us not allow ourselves to be defeated by the past or the future. Instead, let us dwell in a present that is full of unlimited potential. We fear what we don't understand. Perhaps this is why St. Francis urged us to seek "more to understand than to be understood". Or again from Einstein, "Our task is to free ourselves from this prison by widening the circle of understanding and compassion to embrace all living creatures and the whole of nature in its beauty." When love frees us from fear, we also gain clarity and a sense of direction instead of succumbing to the extremes of reactivity and passivity, both deficient in their capacity to respond to the situation at hand. Can we listen more deeply so as to understand the context out of which diverse views arise? In doing so, we may be surprised to find common ground where we previously thought there was none. Through genuinely open dialogue, a truer model of community (or "common-unity") will emerge - stronger than the one that we initially felt protected by. Moving beyond our comfort zones does not require us to discard that which we value, i.e. inclusivity, compassion and justice, but rather invites us to live them more authentically. These are the characteristics of our species that I feel are worth preserving. Dates and time to be announced soon. 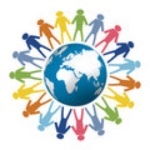 The Web of Connection is a Colorado Non-profit corporation. We have submitted our application for federal 501(c)(3) non-profit status which means that the donations that you make will soon be tax deductible. Your generosity is what makes it possible for our programs to continue to touch the lives of many people. As our community develops, we will be able to provide a more extensive example of a sustainable lifestyle that nourishes body, mind and spirit. 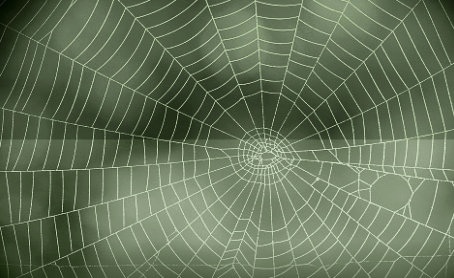 Each one of us is an integral part of this WEB. Thank you for your support!